Festive bells are ringing. It's the time where everyone will be busy setting up their Christmas trees, buying gifts for their family and friends and thinking of venues for their Christmas gatherings! Looking for a venue for your christmas gathering? Here are some places you can consider this Christmas for an afternoon tea, set meal or buffet! 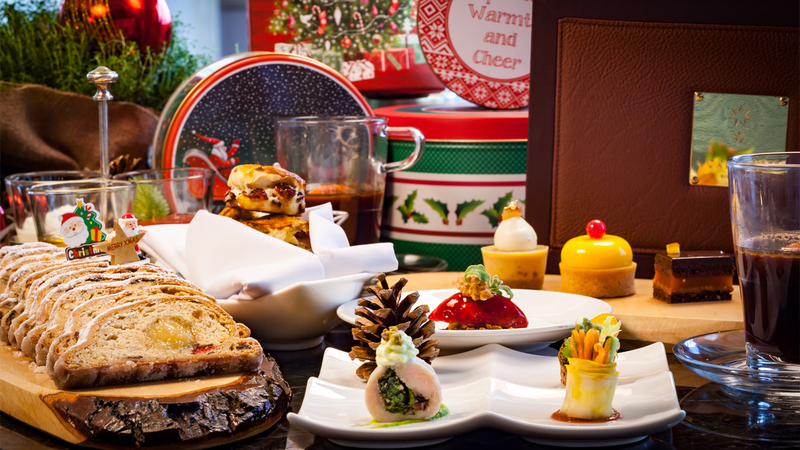 Have a special Festive Afternoon Tea at Chef's Table by Capella Singapore this year! Enjoy a quiet afternoon with your love ones or friends and celebrate this Christmas with a variety of handcrafted sweet and savoury petite festive treats, paired with unique tea choices. Available on weekdays from 1 to 29 December 2017 (excluding public holidays) from 3pm to 5pm at $45++ per person. 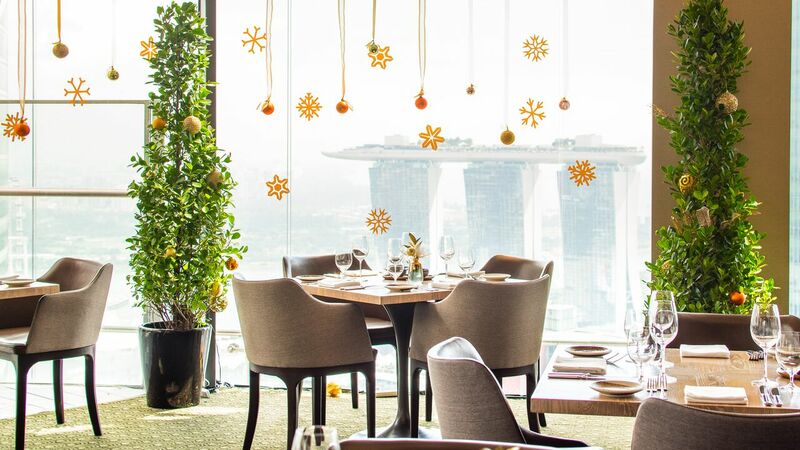 Also for the very first time, the Chef’s Table by Capella Singapore will be open for Private Brunch Affair at any time and any day in December. Diners can choose to enjoy their intimate celebration in style with great chef-guest interactions. Highlights include the Baked Capella Christmas Turkey with Corn Bread Stuffing, Orzo Risotto with Mushrooms and Pumpkin, Foie Gras Custard with crouton of Gingerbread and Port Wine Reduction, Boston Lobsters, Creamy Pumpkin Soup and more! Available all-day from 1 to 30 December 2017 at $258++ per adult includes 2 hours of free flow Taittinger Champagne, beers, wines and soft drinks (min. of 10 persons is required). Make your reservations via chefstablesingapore@capellahotels.com or +65 6591 5089. Interested to try some Mediterranean-inspired festive dishes? Artemis Grill is offering diners some a brand-new Christmas Menu this year! For Christmas, Executive Chef, Fernando Arevalo, offers guests Christmas specials such as the Celery Root Tortellini with Black Winter Truffles ($28), Whole Guinea Fowl with Chestnuts and Dried Cranberries ($78), Whole Lamb Shank with Roasted Vegetables and Tzatziki ($72), and a sinfully indulgent Chocolate Orb with Chocolate, Hazelnut, Cognacand Pear Sorbet ($20), which will be available throughout the month of December! Available on weekdays and Saturdays from 1 to 30 December 2017, from 11.30am on weekdays and from 6pm on Saturdays. If you are visiting, do note that they are closed on Sundays. Make your reservations via visit artemisgrill.com.sg or +65 6635 8677. Only buffets can satisfy your tummy? Check out the Christmas Buffet on Stevens at Novotel Singapore on Stevens’ Food Exchange restaurant. The Christmas Buffet on Stevens features fresh, quality, seasonal ingredients and a range of festive dishes. 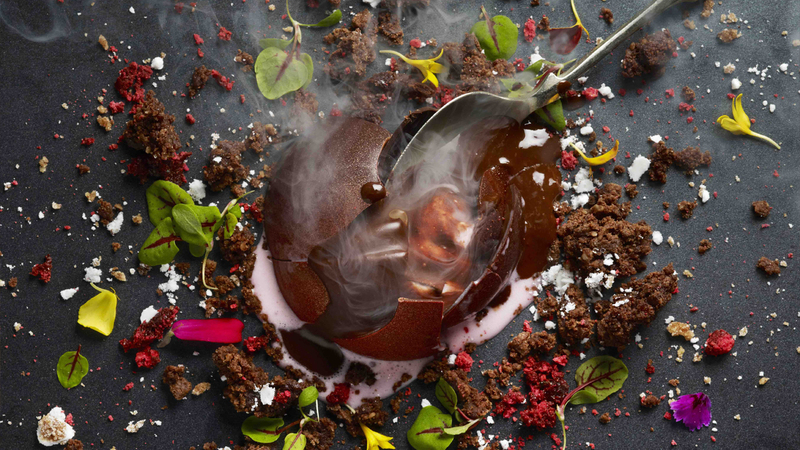 P.S Every 4th person will receive a free Chocolate Smashing Dome for dessert! So hurry and bring your family, friends or colleagues, friends over for your Christmas gatherings or parties! Make your reservations via online booking or +65 6491 6100. P.S. Do call them in advance to make your reservations can be made as I foresee these places will be very crowded the whole of December!